Learning to StandUp paddle at Balmoral beach is a whole lot of fun - as seen onChannel 7, Getaway. Taking a lesson is about progressing quickly and maximising the fun factor. Our professional and qualified instructors will have you up and paddling in no time. Anyone can do it - guaranteed! Smiles all round, also guaranteed! 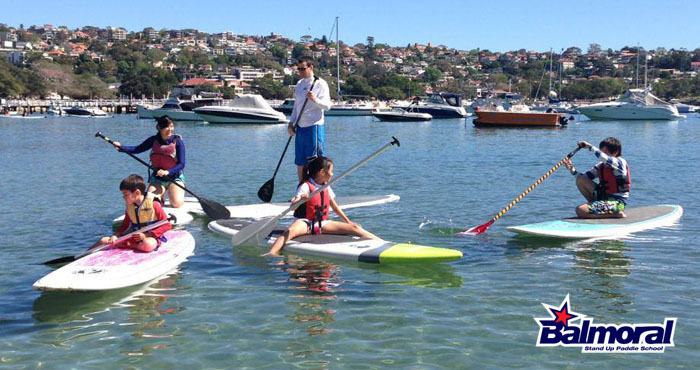 and we are now teaching Paddle Surfing on the beach at Balmoral Beach and Narrabeen Lake. The map of our location map is at the bottom of the page. This Private lesson is the fastest way to progress with one-on-one attention. It can be taken at any time that is convenient for you and the instructor. Available at all locations depending on the conditions. Same as above for 2 people. It can be taken at any time that is convenient for you and the instructor. Our Group lessons are run on demand from both Balmoral Beach and Narrabeen Lakes most weekends from 8am. 30 minute follow up lesson* to refine your new skills- including 1 hour board hire. $50 off any board purchase. *the follow up lesson is best taken once you have spent some time on a board. This way we can help you refine your technique for more advanced paddling. 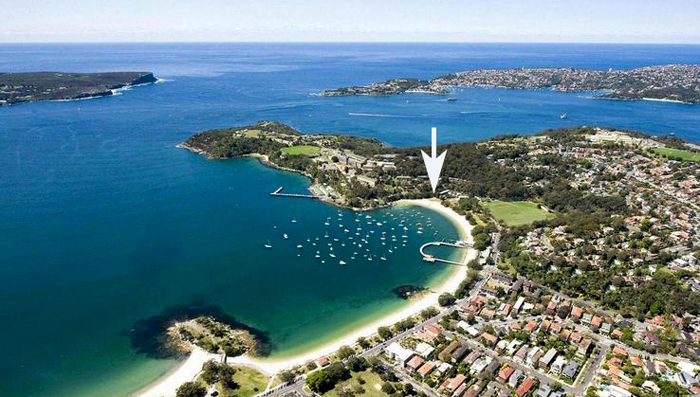 HIRE: $30 per hour ($25 thereafter from Balmoral beach). HIRE is for when you want to just grab a board and go Paddle Surfing. Demo is for when you want to try specific boards before you make a purchase. You pay normal HIRE rates and get $50 taken off your purchase. There are some basic skills that will really help you accelerate your learning. With the right instruction you will progress quite quickly and will come out of it with a completely different perspective on your ability where to go next with it. If you are looking for a unique gift that will put a smile on everyone's faces then this is the ticket! Just email - info@paddlesurfing.com.au so we can send you all the details on how to purchase your voucher. Balmoral Sailing School at the Balmoral Sailing Club. The Esplanade Balmoral Beach. Sydney. Australia. 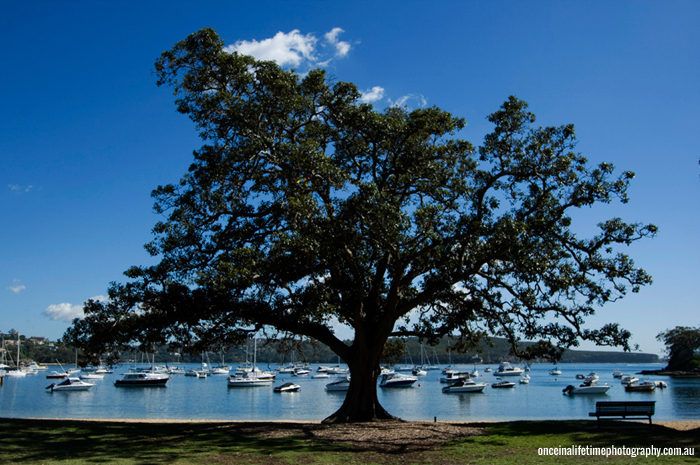 When driving along the Balmoral Esplande with the beach on your left, continue and enter the Balmoral Oval car park. We are located at the very end of the Car Park inthe corner of the beach.